Manufactured by PepsiCo, Gatorade is a world phenomenon, distributed in over 80 countries. In 1965, Gatorade was developed at the University of Florida by researchers to restore the electrolytes and carbohydrates depleted during sports activity and other forms of high level physical exertion. The now famous sports drink was named after the school’s sports teams known as the Gators. Gatorade was first manufactured by Stokley-Van Camp but in 1983 the Quaker Oats Company bought Gatorade. Then in 2001 PepsiCo bought the Quaker Oats Company. The popularity and effectiveness of the various Gatorade products made it the 4th largest PepsiCo brand, proving it to have been an extremely lucrative invention and investment. In the US Gatorade holds 75 percent of the sports drink market. Gatorade is a well known, non-carbonated sports drink that is popular among professional and amateur athletes, children, parents, and others who enjoy its refreshing taste and hydrating effects. It is readily available in most supermarkets and convenience stores. The history of Gatorade appropriately involves a sport. A team of medical researchers at the University of Florida was asked to determine why the Florida Gators’ football players were performing so poorly in the heat. The researchers found that these young men’s bodies were not replacing fluids and electrolytes lost during exercise. They also determined that massive amounts of carbohydrates, which were being used to provide energy to these football players, were not being replaced either. Soon the researchers concocted a formula for a drink that would replenish the fluid, electrolytes and carbohydrates lost during physical exertion. Because the beverage aided the Gators’ football team, they named it Gatorade. The first prototype of Gatorade was a mixtures of phosphate, potassium, sugar, sodium, lemon juice and water. Ten members of the football team drank this early version of Gatorade in the 1965 season during both practice sessions and games. The drink was so effective that it was credited with contributing to the Gators first Orange Bowl win in 1967 over the Georgia Tech Yellow Jackets. This widely televised event touting the positive influence of Gatorade on the University of Florida football team gave the beverage wide-ranging credibility and exposure. Later the same year Gatorade was licensed by the National Football League as their official sports drink – the first of many sponsorships for the Gatorade brand. 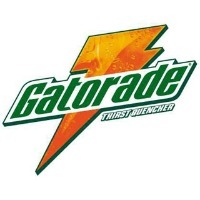 Legal embroilment arose in the early 1970s over who owned the rights to the invention of Gatorade. The researchers had been working under federal grants, with the University of Florida also claiming ownership. In 1973, the university was awarded a 20 percent share of Gatorade royalties, which, as of 2004, were $100 million. The Quaker Oats Company bought Gatorade for $220 million in 1983, winning a bidding war against Pillsbury. Quaker Oats expanded the distribution of Gatorade to Canada in 1984, Asia in 1987, Europe and South America in 1988, and Australia in 1993. The cost of this international expansion was $20 in 1996, but the pay-off was to the tune of worldwide sales at $283 million in over 45 countries. In 1997 Gatorade was introduced to an additional 10 countries which resulted in 18.7 percent growth in that year’s sales. It was in 2001 that PepsiCo bought the Quaker Oats Company for an astounding $13 billion with a primary motivation to acquire Gatorade. PepsiCo continued Gatorade’s expansion, entering India’s market in 2004 and the U.K. and Ireland in 2008. Gatorade is currently the number one selling sports drink in the US, Canada, Mexico, Brazil, Colombia, Argentina, Venezuela, Italy, the Philippines and Indonesia, and is a leading sports drink in Australia and Korea. Gatorade comes in a few different varieties. G-Series Prime 01 contains carbohydrates and B vitamins to start you off on the right foot. The original Gatorade formula is now known as G-Series Perform 02 Original G, with electrolytes and carbohydrates that help keep you hydrated and full of energy. It comes in a multitude of different flavors including those perennial favorites Lemon-Lime and Fruit Punch. G-Series Perform 02 also includes G Powder, which is Original G in powder form. All you need to do is add water. G2 is the low calorie version of Original G, and is perfect for less vigorous workouts. G2 Powder is the low calorie version of G2 in powder form, which just needs to be mixed into water. G-Series Recover 03 contains electrolytes, carbohydrates, and protein to help your body heal after vigorous exercise. Various versions of Gatorade have been developed in regions or countries for regional preference. As examples, Brazil has a pineapple Gatorade and Russia has a Gatorade drink called Rainbow. Flavors that were discontinued in the US, such as Starfruit, have been made available in other countries. Initially, however, there were only the lemon-lime and orange flavors of Gatorade Thirst Quencher. Fruit punch flavor was added in 1983. But in the mid 1990s Gatorade became available in an array of new flavors including Strawberry Kiwi, M’mmmandarina and Cherry Rush. Gatorade Frost came on the scene in January 1997. Gatorade frost flavors were Glacier Freeze, whitewater Splash and Alpine Snow. The intention was to broaden the customer base beyond the competitive sports population. The Gatorade developers termed the untapped population the “active thirst” population, 10 times the size of the sports consumers. This proved to be a wise and successful move, exceeding PepsiCo’s expectations. On the heels of this success, other products were developed and added to the Gatorade line-up. In 2001 the Gatorade Energy Bar entered the scene with a large proportion of protein and carbohydrates, in competition with the Clif Bar and the PowerBar. In the same year, Gatorade offered the Gatorade Performance Series including the Gatorade Nutrition Shake, the Gatorade Carbohydrate Energy Drink and the Gatorade Nutrition Bar. In 2004 they initiated the Endurance Formula, which contained 3 times the potassium and 2 times the sodium of the previous Gatorade formula and included calcium, magnesium and chloride. Gatorade introduced Gatorade Ice in 2002. This was a lighter flavored drink in Lime, Orange, Watermelon and Strawberry. In 2006 it was renamed Gatorade Rain, with some changes in flavors. In 2007 low-calorie G2 was brought to market with 7 flavors including the newer concepts of Blueberry-Pomegranate, Glacier Freeze, Fruit Punch and Grape. This drink, advertised as a healthy choice beverage, produced a cool $159.1 million in 2008, breaking out as the top new food product of the year. Gatorade Focus, developed in 2009, contains 25 percent more electrolytes than Gatorade Thirst Quencher and also contains theanine, an amino acid that improves mental focus. The G Series, introduced in 2010 includes Gatorade Recover 03, a post-workout beverage with additional protein to aid muscle recovery and hydration after physical exertion. At the moment, the Gatorade website does not have printable coupons available. However you can follow their Facebook and Twitter pages for current Gatorade news and features, which may include coupon and promotion information and other money-saving deals. Although there are currently no Gatorade coupons on the official Gatorade website, they are available everywhere coupons are to be found, from the various online coupon sites to chain stores such as Target and Costco. There are hundreds of printable and clippable coupons with savings ranging from $1 off individual bottles to as much as 75 percent off Gatorade products in bulk cases. Blogs are a fantastic source for Gatorade coupons and sales. There are quite a few dedicated bloggers online, who are devoted to bringing you the latest and best coupon information. They may provide links to printable coupons, pass the word about paper coupons in newspapers or mailing circulars, or announce sales for Gatorade products in local grocery stores, drug stores, or convenience stores. It is ideal to find a money-saving blog written by someone who lives in your area. This will certainly help for notifications about paper coupons inserted into the local paper, and for sales at local stores. However everyone can benefit from links to online printable coupons, no matter where you live. Blogs such as Money Saving Mom, The Centsible Sawyer, Freebies 4 Mom, and Bargain Briana are great places to start. Also check out websites for local stores which may advertise a spectacular sale on Gatorade products, for example 10 for $10. Some stores, such as Kroger, Tom Thumb, and Walgreens, have printable coupons available on their websites. Stores like Kroger and Tom Thumb also allow you to download coupons onto your reward card. Visit the websites of stores near you as well as those geared specifically for printable coupons, like Smartsource. Gatorade is an excellent beverage to include in a child’s lunch sack, to fill up a cooler with for an outdoor event or road trip, and to stash inside a gym bag. Some people also drink Gatorade during times of illness such as colds or the flu. While adults recognize the drink’s hydrating and energy boosting qualities, and children like the appealing colors, everyone enjoys the delicious flavors.